Adtalem Global Education, the owners of Ross University Medical Center (RUSM), is expanding its footprint in the Caribbean in the near future. The company, who recently fled Dominica due to a lack of competent leadership by local officials, has just announced their American University of the Caribbean School of Medicine (AUC) is teaming up with a major United States physicians group, the Harvard Medical Faculty Physicians of Beth Israel Deaconess Medical Center (HMFP), to convene a conference on St. Maarten in March, 2019. The International Conference on Disaster Medicine and Hurricane Resiliency is scheduled to be held March 8 - 11, 2019, on St. Maarten, and will bring together healthcare professionals and educators, and persons focused on emergency response and training. According to a press release from Adtalem, AUC and HMFP are "currently working together to develop the Caribbean Center for Disaster Medicine (CCDM), which will be based in Sint Maarten. The CCDM will be the center of excellence designed to foster collaboration among professionals responsible for healthcare delivery, disaster preparedness, emergency response and medical education in the region." You will recall that Dominica government officials, in their attempt to save face following the exit of RUSM, had been spreading lies about the reasons for RUSM's exit, laying the blame at the feet of Tropical Storm Erika, Hurricane Maria, and eventually, RUSM itself. It was Adtalem's Chief Executive who gave us a glimpse as to where the blame lies; who can forget her declaration that the move to Barbados could only happen with "a leader and a government with a bias to action to advance education and healthcare". Mr. Skerrit subsequently made statements indicating that he was negotiating with Adtalem for alternative uses of the campus; why didn't he try to get them to locate this new facility here? 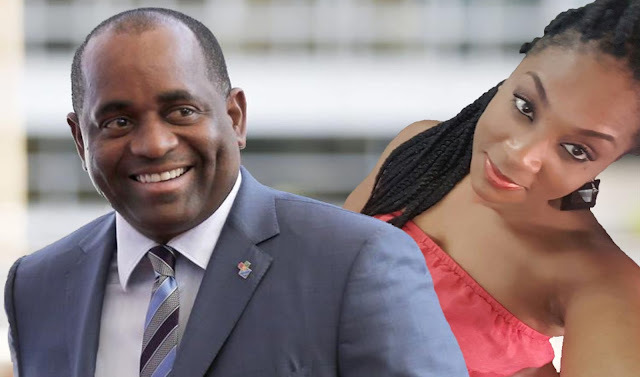 The people of Dominica who have decided to go down with Mr. Skerrit's sinking ship need to ask themselves a question; how long are you going to remain the jokers in Mr. Skerrit's pack of cards? Mr. Skerrit has told us many lies, too many to even count a this point. His acolytes have spread false information about the school, and her it is Adtalem is actually expanding in the Caribbean. In the meantime, property owners in Portsmouth are treading water with their mortgages. If you are a health professional in Dominica and the region and would like to attend the conference, CLICK HERE to learn more about the conference and to register.